You have tried other weight loss methods supervised by a physician or dietitian including changes in eating habits, behavior, exercise and/or drug therapy and you are still seriously overweight. You are restricted from performing routine daily activities related to work and family. Your quality of life is seriously impaired due to your weight. 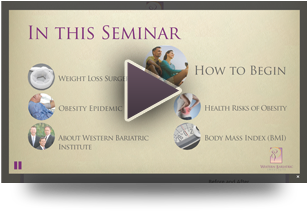 You understand the procedures, risks, and effects of weight loss surgery. You are committed to making the behavioral changes necessary to achieve and maintain weight goals. This includes a well-balanced diet and regular physical activity. Please be advised that these are just general guidelines. It is always best to refer to your physician or surgeon for a specific evaluation and a determination of your candidacy for surgery. What is Laparoscopic or Minimally Invasive? The decision to move forward with weight loss surgery should not be taken lightly. The surgeons at Western Bariatric Institute (WBI) perform multiple types of weight loss surgical procedures which allows patients to have options in determining the safest and most effective procedure for their situation. It is the goal of our practice to provide patients and their families with the necessary information and tools to make an informed decision as to whether weight loss surgery is the right option for them. Weight loss is a decrease in body weight resulting from voluntary activities like diet and exercise, as well as through involuntary situations like illness. However, many seriously overweight people have difficulty losing weight even when engaging in voluntary activities and consulting medical professionals for supervised dietary and physical activity regimens. In some instances, individuals have health problems that contribute to their weight problem. Weight loss surgery is an option for many to help lose excess weight and regain health. Weight loss surgery is known as bariatric surgery in the industry and involves surgical procedures done on the stomach and/or intestines to help a person with extreme obesity lose weight. * This is usually considered in persons with a BMI of 40 or more, or those with a BMI from 35-39.9 who are experiencing health problems like type II diabetes or heart disease (comorbidities). *results may vary. In certain situations, persons with a BMI of 30 – 34.9 may be eligible for surgery. Determination of qualification is done on a case-by-case basis with one of our qualified surgeons. 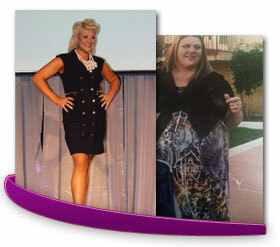 Our past patients are our best way to demonstrate the effectiveness of weight loss surgery. We invite you to view their before and after pictures and see for yourself what a difference bariatric surgery has made in their lives. A Roux-En-Y Gastric Bypass is a procedure in which a small stomach pouch is created by the surgeon which restricts patients to only a small meal at each sitting. This gradually reduces weight because of lessened food intake. Read more here. Similarly, the Lap-Band® procedure involves placing an adjustable band around the stomach. The band inhibits stretching of the stomach, limiting the patient to small meals at each sitting. Read more here. Vertical Sleeve Gastrectomy is a restrictive procedure where 85% or more of the stomach is removed without bypassing the intestines or causing any gastrointestinal malabsorption. With this procedure, the amount of food is restricted due to the reduced size of the stomach. Read more here. For more information regarding the risks, please consult our expert staff. Weight loss surgery should be treated as a platform from which patients can make lifelong changes to their dietary and exercise habits. Each procedure has its own pros and cons and should be discussed fully with your surgeon. It is imperative for patients to have an in-depth understanding of the procedures prior to surgery. The Sleeve Gastrectomy is a restrictive procedure that involves removing 85% or more of the stomach without re-routing the intestines. With this procedure, restriction of the stomach is accomplished by dividing, stapling and removing more than 85% of the existing stomach. The remaining part of the stomach is long and narrow, much like a shirt sleeve. Since the intestines are not touched, the functioning of the stomach remains the same meaning that the nutritional elements of food can still be absorbed, but the volume of food that can be eaten is drastically reduced. Who Is A Candidate for a Vertical Sleeve Gastrectomy? Western Bariatric Institute offers this procedure to patients who meet the criteria established by the National Institutes of Health and the American Society for Bariatric and Metabolic Surgery. 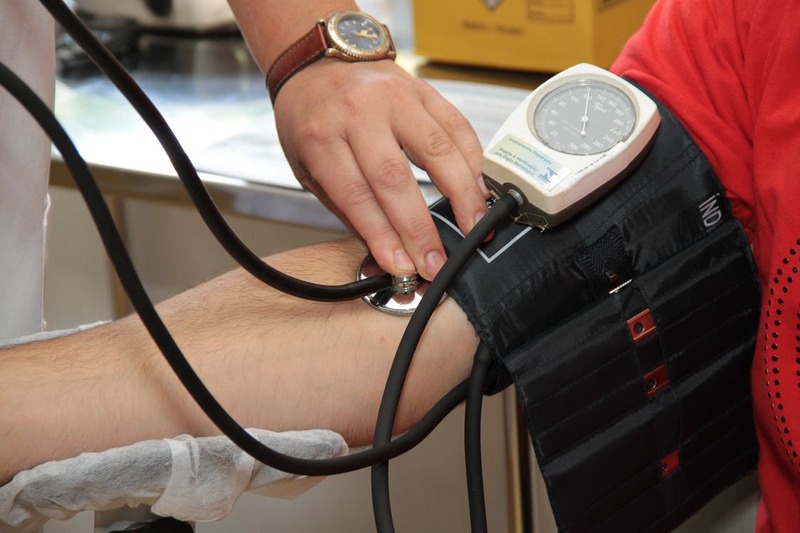 Patients are considered candidates if they have a Body Mass Index (BMI) over 35 and suffer from any health condition related to obesity or have a BMI over 40. To learn more, please watch our online seminar or attend a live webinar. In 2000, Inamed Corporation was granted FDA approval for its Lap-Band® System, where an adjustable gastric band is fitted on the upper part of the stomach in a minimally invasive outpatient procedure. Though it is a fairly recent innovation, studies show that the Lap-Band® System is an effective means for long-term treatment of obesity. Western Bariatric Institute offers this procedure to patients who meet the criteria established by the National Institutes of Health and the American Society for Bariatric and Metabolic Surgery. Patients are considered candidates if they have a Body Mass Index (BMI) of 40 or more and/or suffer from any health condition related to obesity. Additionally, people with a BMI between 35-39.9 may be considered for surgery if their weight is affecting their quality of life and health. To learn more, please register for one of our free informational seminars by either clicking here or by calling (877) 985-6771.